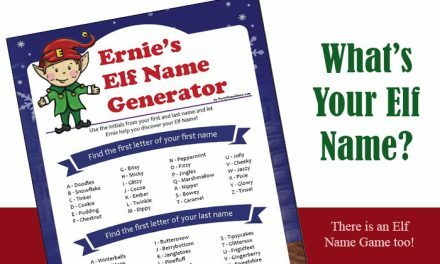 Party Game Ideas went out of it’s way to create a fun Christmas Quiz Challenge game that adults will enjoy and kids may know the answers too. We made the game boards progressively more difficult, but none are extremely hard. Lots of common knowledge Christmas questions that should allow for a lot of game interaction and fun for all. Each Christmas Quiz Challenge game board has 5 categories with 5 answers each, that guests must answer in a form of a question. 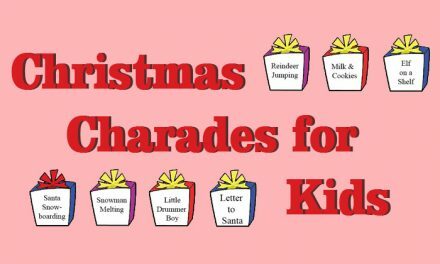 We provide a Christmas Quiz board for each game, an Answer, Questions and Scoring sheet, instructions, plus we give you cut out in case you want to tape the game to the wall or poster board. You will leave the site to make you purchase. Once you purchase Christmas Quiz Challenge, the game will be emailed to you. How the Printable Game Download Process works. 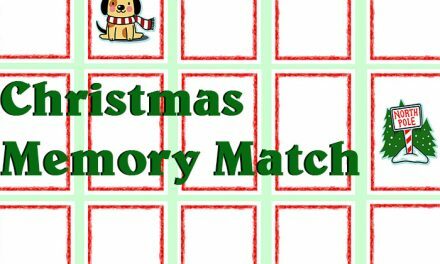 Christmas Quiz Challenge games, unlike Jeopardy on tv, can be played by as few as 2 players and if you play in teams as many as 9 – 12 per team. Just purchase our printable trivia party game and the PDF file will be emailed to you. 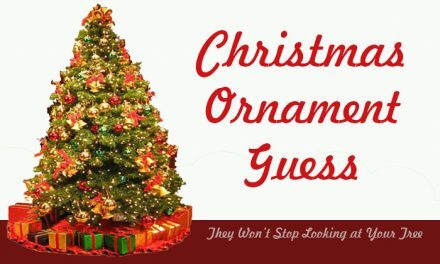 Christmas Quiz Challenge, is similar to Jeopardy and is entertaining and geared towards adults. 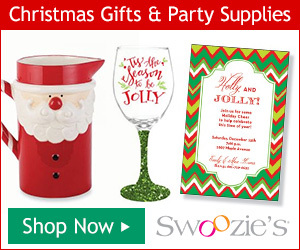 It is a fun game for families, dinner parties, smaller office events and just time with friends over the holidays. Do you know the Questions? From Toys and Games: Loves to fall down steps. Holiday Food: This holiday beverage was once referred to as milk punch. Christmas Music: “Shoppers run home with their treasures” is in this Christmas song. In most cases our Christmas Quiz Challenge questions are easy to moderate but fun for everything. Unlike Jeopardy, our goal is to have lots of player knowing the answer instead of always being stumpped, so we tried to write answers that are a challenge but not crazy difficult. If you use the Final Question, know the final Quiz Questions are harder since everything is one the line. Also, the Christmas Quiz Challenge game boards get a little harder, so if you want an easy one first that the kids might want to try start with Game 1 and for harder questions try Game 4. 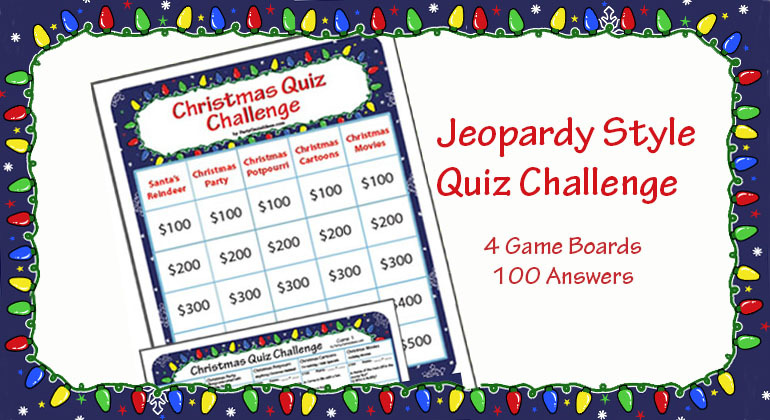 We put a lot of time and effort into coming up with a Christmas quiz game that we think you will enjoy and hope our Christmas Jeopardy style game brings smiles and laughter to your holiday event and gatherings.